All awards are placed on the project page after being granted. You can search for award winners on the main conference page using the filter dropdown for awards. 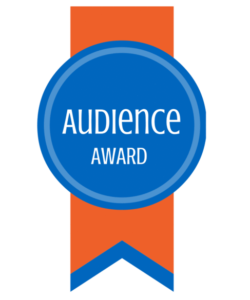 Audience Choice Award: These badges are awarded to presentations that capture the buzz of conference attendees by generating the most audience engagement. Omar’s project, “The Refugees Crisis: Domes of Hope,” was selected from more than 300 projects to receive an Audience Award. The Audience Award is given to those students whose projects garnered the highest level of engagement from conference participants, including visits, “likes,” and comments. In his project, completed as part of his GOA Architecture course, Omar tackled the challenge of providing housing to Jordan’s ballooning refugee population: “I was inspired to do this project because of my visit to Al-Zaatari refugee camp in the summer last year, as I saw the miserable conditions that the families are living in, and I really wanted to help them overcome this situation.” Visit Omar’s project. GOA Citation: These badges are awarded to exemplary presentations who the Global Online Academy and participating member school faculty determine best represent the goals of the conference: 1) Raising awareness, 2) Promoting grassroots action, 3) Promoting institutional change. Explore all 2017 GOA Citation winners here. The Catalyst for Change Prize: This prize is the most prestigious prize at the Catalyst Conference, and reserved for a small number of presentations. A GOA recruited panel of advocacy experts and organizations will review and award the Catalyst for Change Prize to presentations that have demonstrated exceptional thoughtfulness, planning, and potential for enduring change. Panel experts will use the conference presentation rubric to guide their evaluation. 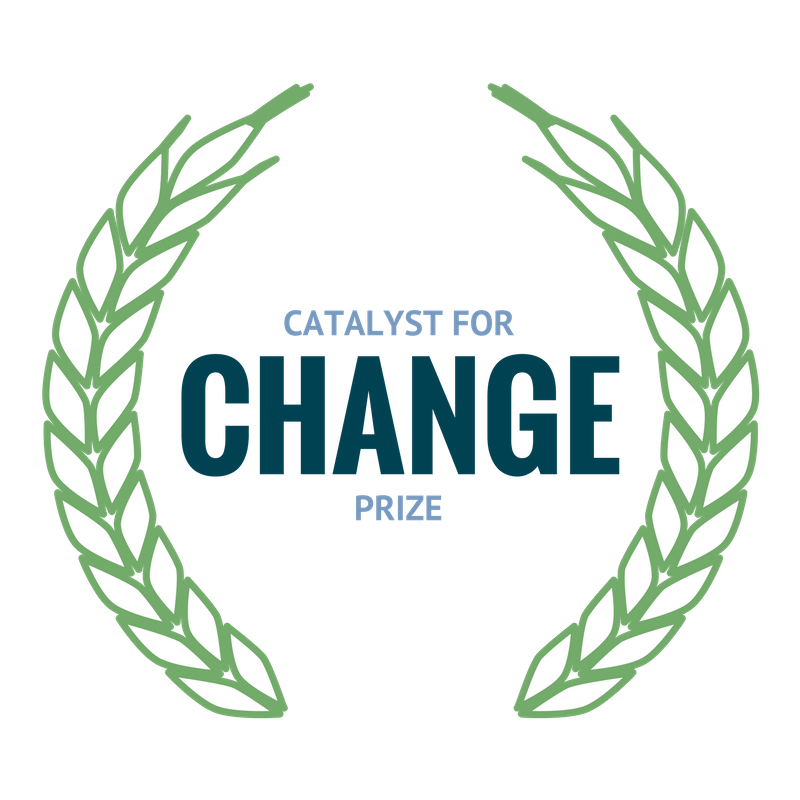 In addition to a badge on their presentation and GOA public promotion, recipients of this award will be granted the opportunity to consult with an expert on the panel in the field of social change about the ways to further this project or seek guidance on a new idea their Catalyst Presentation has sparked. Kaitlyn’s project, “The Game of Women’s Reproductive Health Care,” was one of five selected from more than 300 conference projects to receive the Catalyst for Change Prize. This prize is awarded by a panel of advocacy experts to projects that have demonstrated exceptional thoughtfulness, planning, and potential for change. In her project, completed as part of her GOA Game Theory course, Kaitlyn imagined access to women’s health care as a zero-sum game: “My goal is to help you understand the implications of stigmatizing the women’s health care dilemma.” In their review of the project, the panel of judges praised Kaitlyn’s use of game theory to make a complex issue more accessible: “This project is critical to today’s world, especially in the U.S. and in U.S. support around the world for all women and men. It took it out of the abortion stigma to the entire field of women’s health, where it belongs. The game and polls allow readers to be engaged throughout review of the material.” Kaitlyn now has the opportunity to consult with an expert on the panel about ways to further her advocacy work. Visit Kaitlyn’s project. Louise’s project, “Gardens: a Tool to End Hunger,” was one of five selected from more than 300 conference projects to receive the Catalyst for Change Prize. This prize is awarded by a panel of advocacy experts to projects that have demonstrated exceptional thoughtfulness, planning, and potential for change. In her project, completed as part of her GOA Architecture course, Louise reimagined Westminster’s greenhouse: “I hope to transform the greenhouse to a place that invites and intrigues students in the science department and wider school community: teachers, Westminster families, and clubs. These groups of individuals could all greatly benefit from learning about the natural life cycle of plants, botany, biology, recreation (planting/gardening).” In their review of the project, the judges praised the richness of Louise’s vision: “The project offered the viewer a visual feast of the many possibilities in greenhouse construction through sketches and photos. Well-chosen words made a strong case for a gardening program. Put the two together, and you generate a fully sparked interest on the part of the audience.” Louise now has the opportunity to consult with an expert on the panel about ways to further her advocacy work. Visit Louise’s project. Ravi’s project, “The Real Cause of Gentrification,” was one of five selected from more than 300 conference projects to receive the Catalyst for Change Prize. This prize is awarded by a panel of advocacy experts to projects that have demonstrated exceptional thoughtfulness, planning, and potential for change. In his project, completed as part of his GOA Game Theory course, Ravi used game theory to argue that biased zoning practices can negatively affect the composition of neighborhoods: “The effect of the city’s decision on housing can be witnessed when matched with a developer’s decisions to build for maximum profit. Game theory helps us model why people or entities act the way they do and alter the strategies and rewards of the game to create the most desirable outcome.” In their review of the project, the panel of judges praised Ravi’s nuanced analysis of a local issue: “We were impressed by the organization and depth of this project. The problem was clearly laid out. The solution was eloquent and creative. The project also concludes with a call to action that is both impactful and realistic.” Ravi now has the opportunity to consult with an expert on the panel about ways to further his advocacy work. Visit Ravi’s project. Anthea’s project, “Youth Suicide and Music Therapy,” was one of five selected from more than 300 conference projects to receive the Catalyst for Change Prize. This prize is awarded by a panel of advocacy experts to projects that have demonstrated exceptional thoughtfulness, planning, and potential for change. In her project, completed as part of her GOA Music Theory and Digital Composition course, Anthea confronted the recent surge in student suicides in Hong Kong and suggested music therapy as one approach schools and local governments can utilize to combat stress. As part of her project, she composed and played a song in the mode of music therapy meant to relax. In their review of the project, the panel of judges praised Anthea’s focus on an increasingly important local issue: “This presentation was very real and relevant. It was eye-opening to say the least, to hear about not only an issue that has been increasing (exponentially?) but also a solution that can help save lives.” Anthea now has the opportunity to consult with an expert on the panel about ways to further her advocacy work. Visit Anthea’s project. Omar’s project, “The Refugees Crisis: Domes of Hope,” was one of five selected from more than 300 conference projects to receive the Catalyst for Change Prize. This prize is awarded by a panel of advocacy experts to projects that have demonstrated exceptional thoughtfulness, planning, and potential for enduring change. In his project, completed as part of his GOA Architecture course, Omar tackled the challenge of providing housing to Jordan’s ballooning refugee population: “I was inspired to do this project because of my visit to Al-Zaatari refugee camp in the summer last year, as I saw the miserable conditions that the families are living in, and I really wanted to help them overcome this situation.” In their review of the project, the panel of judges praised Omar’s choice of a relevant, local issue: “He does a fantastic job outlining the issue at hand, providing background and history, and utilizing an architectural design as a solution to an issue that has been plaguing the Middle East. The solution is culturally sensitive to the style in Arab countries and materials are suggested based on economic and environmental fit.” Omar now has the opportunity to consult with an expert on the panel about ways to further his advocacy work. Visit Omar’s project.